In this article we will explain of how to set up automatic backup of Microsoft SQL Server to Amazon S3. The method described in this article works well for all editions of MSSQL Server, including Microsoft SQL Server Express Edition. We use Microsoft SQL Server Management Studio to generate backup script. If you do not have this tool installed, you can download and install it from Microsoft’s website. 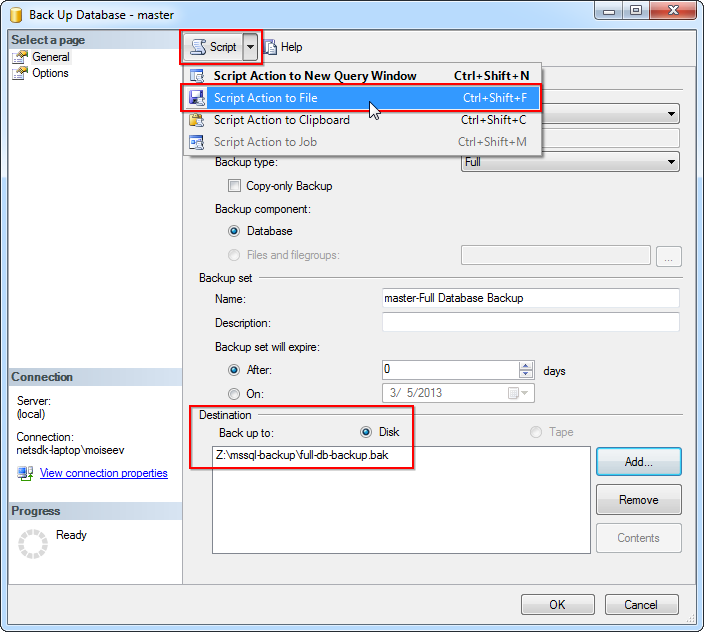 If you are familiar with T-SQL you can write backup script manually or use existing one. 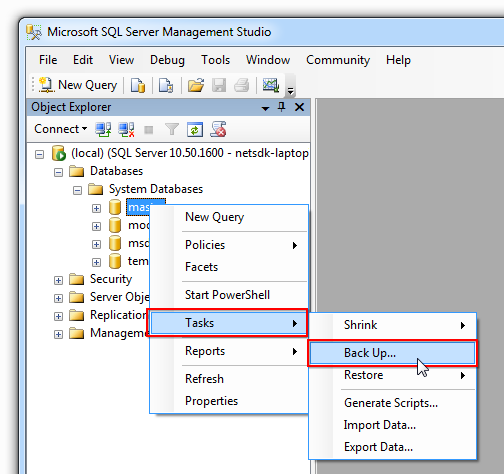 Open SQL Server Management Studio, expand Databases and select the database you want to backup. Right-click the database, point to Tasks, and then click Back Up. The Back Up Database dialog box will appear. Here you can configure various backup settings. Detailed description can be found here. Note that we changed default destination to Z: drive, this is the virtual drive that points to the Amazon S3 Bucket. Check out these simple instructions to learn how to mount an S3 Bucket as a Windows Drive. 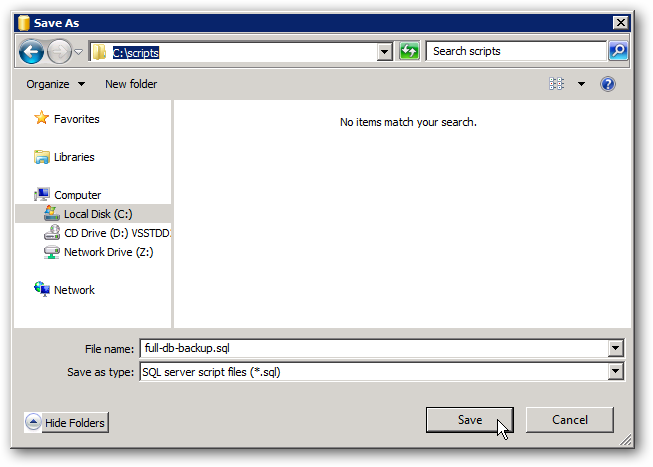 After you configure backup click Script -> Script Action to File and save generated script to the file. Processed 352 pages for database 'master', file 'master' on file 5. Processed 2 pages for database 'master', file 'mastlog' on file 5. BACKUP DATABASE successfully processed 354 pages in 0.659 seconds (4.394 MB/sec). SUCCESS: The scheduled task "mssql-full-backup" has successfully been created. Congratulations, automated backup to Amazon S3 is configured. Rspamd Fast, free and open-source spam filtering system.